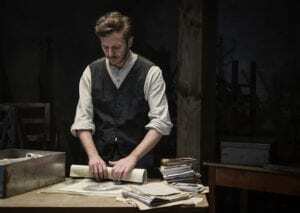 Actor Andrew Bering portrays Israel Lichtenstein as he prepares the first cache of documents to be hidden away for posterity in a scene from the docudrama, Who Will Write Our History. Yes, the 2019 Louisville Jewish Film Festival will screen a lot of Holocaust-themed pictures. Like most Jewish film festivals around the country, the selection committee for Louisville’s festival has plenty of movies, documentaries and short-subject films that deal with the subject in some way. No apologies, though, said Marsha Bornstein, the festival’s veteran director. This year’s offerings are high-quality films; they deal with important subject matter, and given the climate of the times, they’re relevant, too. If many of them are about the Holocaust, she said, so be it. This year’s lineup includes 15 pictures of varying lengths from nine countries: Israel, the United States, South Africa, the Netherlands, Poland, France, Germany, Hungary and Argentina. They will be shown at six different venues this year, including – for the first time – the University of Louisville Planetarium, which will screen The Tenth Man, an Argentine picture. The other venues are the Village 8, Bellarmine University (Cralle Theater in Wyatt Hall), Adath Jeshurun, The Temple and Speed Cinema at the Speed Art Museum. This year’s “big splash” film, as Bornstein calls it, is Who Will Write Our History, a 94-minute documentary by American filmmaker Roberta Grossman with executive producer Nancy Spielberg, a sister of Steven Spielberg. 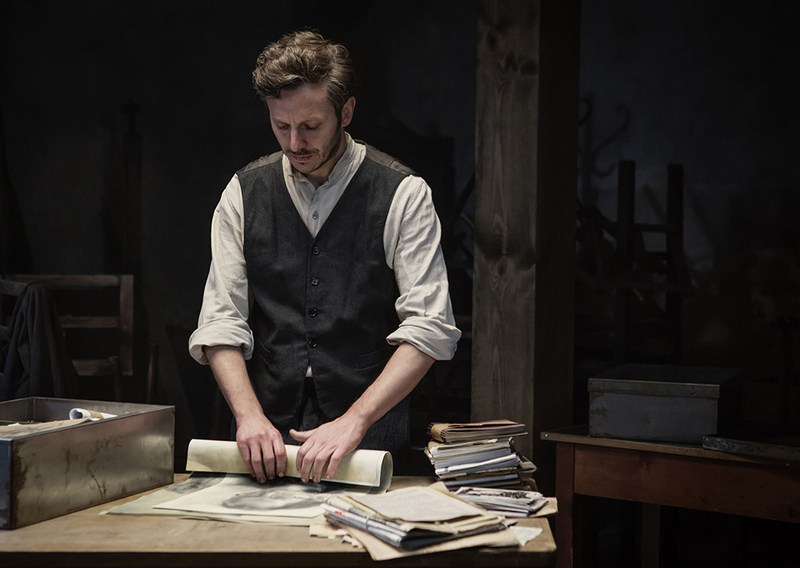 Shot in Poland, the film tells the story of a secret band of journalists, scholars and historians trapped in the Warsaw Ghetto during World war II. They left behind some 30,000 pages of writings, photos, posters and other records of how Jews died – and lived – behind the walls. Grossman herself will be at the screening on Saturday, Feb. 9, at Bellarmine, and at the reception to follow. Any other year, Who Will Write Our History would be the opening night film, Bornstein said. This year, due to scheduling conflicts, that distinction goes to An Act of Defiance, a South African/Dutch movie about a Jewish-Afrikaner lawyer who risks his life to defend a young Nelson Mandela in his 1963 trial on charges of sabotage and conspiracy to over throw the government. The film will be screened Thursday, Feb. 7, at Village 8. The Cakemaker, which will be shown twice at the Speed at 1 and 7 p.m., Thursday, Feb 21, is a German-Israeli collaboration, which won best feature award at the Jerusalem Film Festival. A relationship between a German baker and an Israeli man who mysteriously disappears develops unusual twists when the baker goes to work for his missing lover’s wife in her café. Women’s Philanthropy will host a private Ladies’ Night Out event at the Speed the night of the screening, which will include the movie, a reception and a tour of the Adele and Leonard Leight Collection. “They’re simply voting on the best films,” she said. For times and dates for the screening, sponsorships and other details about this year’s film festival, see the insert included in this month’s Community. Tickets can be purchased online at jewishlouisville.org/the-j/j-arts-ideas/film-festival/purchase-film-festival-tickets/.